Labor day barbecues are grilled, enjoyed and done, so why not move on to pumpkin recipes?! I know it’s only September, but I’ve seen some pumpkin recipes popping up on food blogs - I thought I would join the fun! 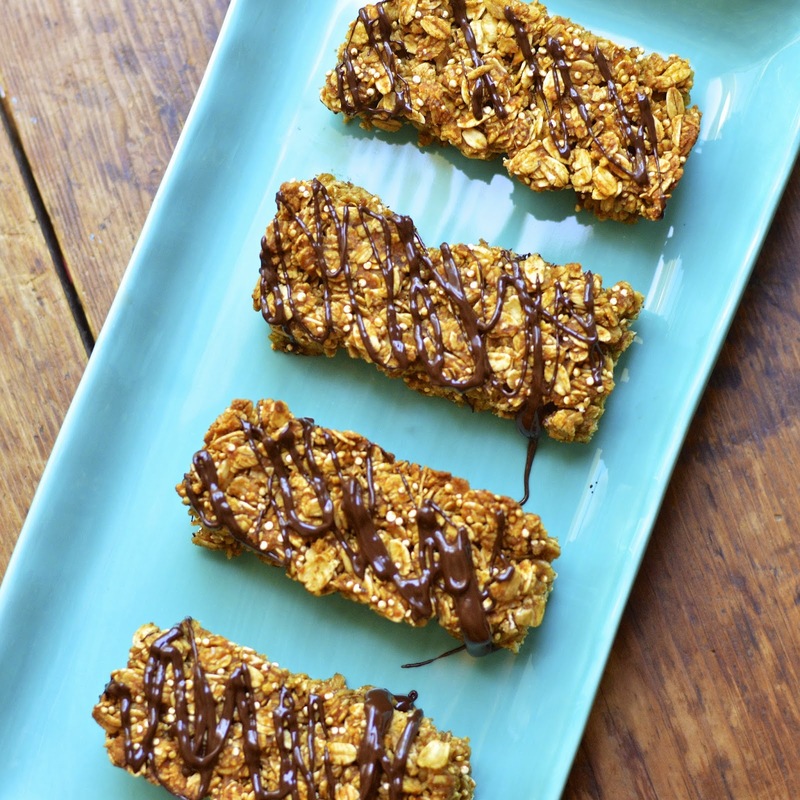 Pumpkin dark chocolate granola bars are the perfect breakfast or school snack for your child’s brown bag. They are lightly sweetened, full of whole grains, protein and anti-oxidants. Plus, with a significant drizzling of dark chocolate on the top, you can dupe your kids into thinking its dessert! I personally adore the combination of pumpkin and chocolate. The standard pumpkin pie spice brings out the traditional pumpkin pie flavors and highlights the decadent dark chocolate. 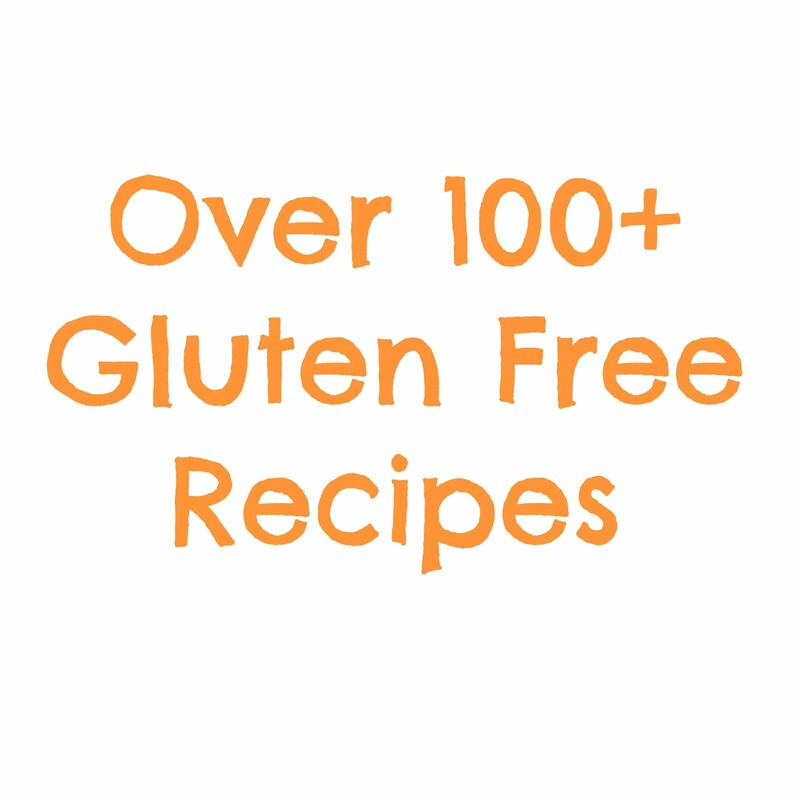 I made mine gluten free with Bob’s Red Mill Gluten Free Oats. If that’s not a concern for you, just toss in any old fashioned oats and I do recommend the quinoa; it’s crunchy and nutty flavor adds great texture to the granola bar. Spray an 8 inch by 8 inch baking pan with non-stick cooking spray. In a large bowl combine the oats, quinoa, pumpkin pie spice and salt. In a smal bowl whisk together the sugar, honey (quick trick for measuring honey - spray measuring cup with cooking spray and the honey falls right out!) and pumpkin puree until combined and smooth. Add pumpkin mixture to oat mixture and stir until all the oats are coated. Place oat mixture into the prepared pan and press down evenly. Bake for 30 to 35 minutes until golden brown. Let the bars cool to at least room temperature on a wire rack. 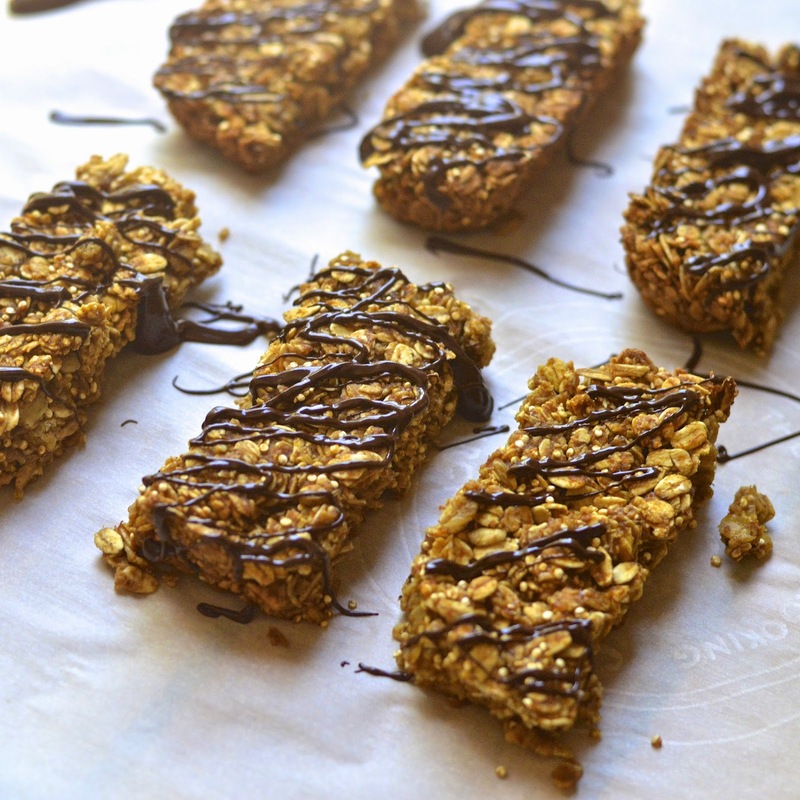 Flip granola bars out of pan onto a cutting board. Cut into desired size (I cut mine into 10 bars). 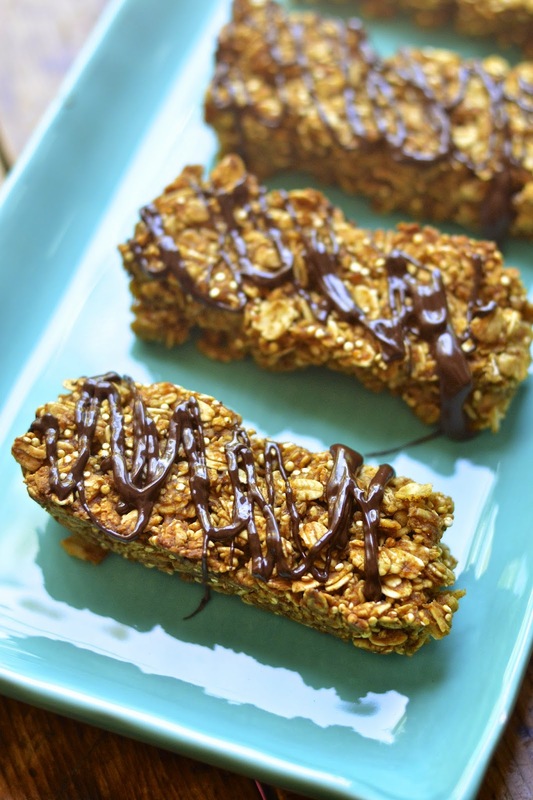 These granola bars are still on the delicate side so use a very sharp knife and press down to make a clean cut. If any pieces fall off the bars, they are moist enough to stick right back on! While the bars are cooling place chocolate in a glass bowl and heat in the microwave for 30 seconds. Stir the chocolate and put it back in the microwave for 20 second intervals until completely melted (probably only one or two times). 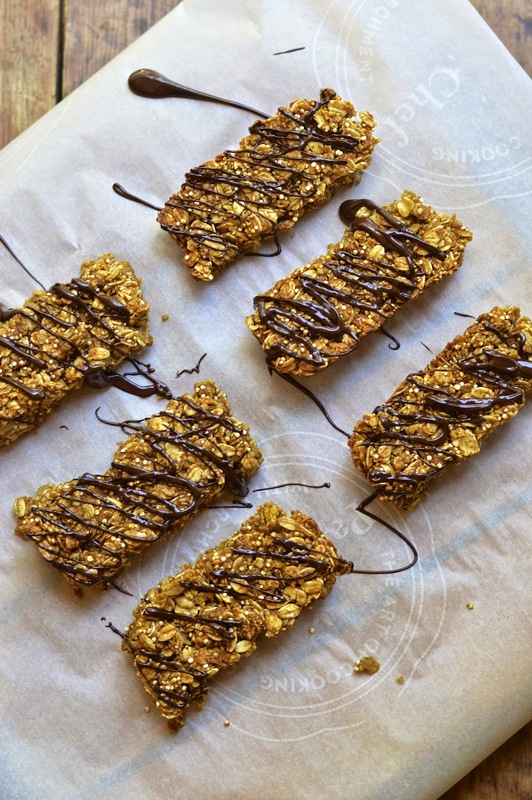 Dip a spoon or whisk into the chocolate and drizzle over the cut bars. Let chocolate set and enjoy. 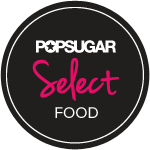 Are you using cooked or uncooked quinoa in this recipe? Hi Kari. It uncooked quinoa! It adds a nice crunch and lots of protein!